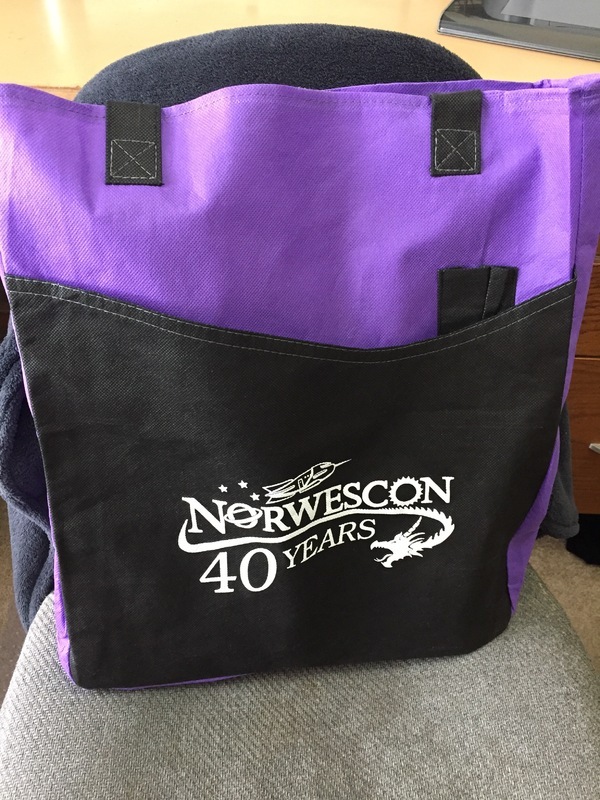 The "swag bag" tote bag for Norwescon 40. Usually we use recycled plastic grocery bags; this year, as part of our anniversary celebrations, we upgraded to nice fabric tote bags. 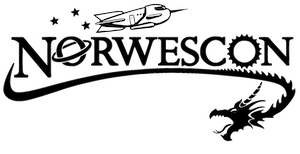 Norwescon, “Norwescon 40 Swag Bag,” Norwescon History, accessed April 19, 2019, http://history.norwescon.org/items/show/320.